Established in 1939, Interstate Resources historically allowed their twelve business units to run semi-autonomously. From a brand perspective, this often resulted in an inconsistently applied identity program (previous logos below). Interstate Resources asked CrossRoads Studios to evolve its brand identity. CrossRoads Studios came into a challenging environment. They had the tenacity to evolve our brand intelligently and cost-effectively to a stronger brand identity. Through their Strategic Brand Analysis, CrossRoads Studios evolved the inconsistent Interstate Resources brand logos into a strong, cohesive identity. 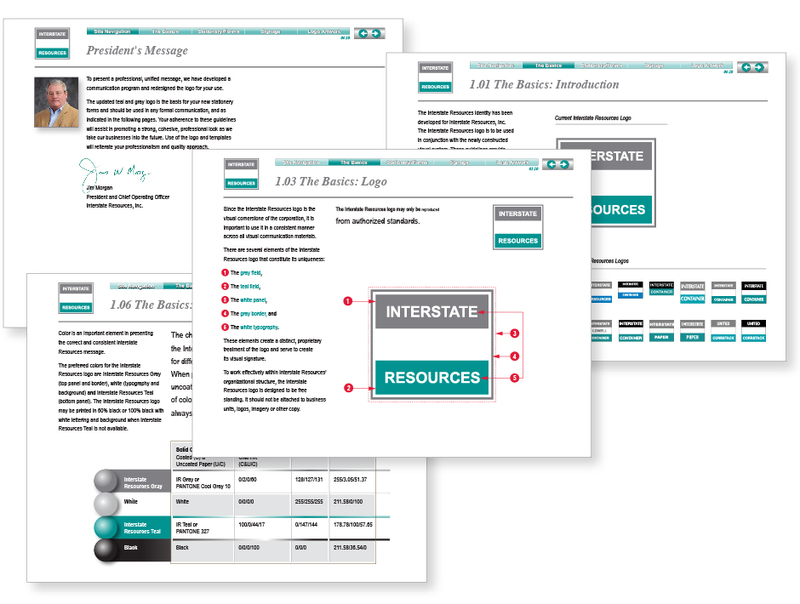 The essence statement, “Interstate Resources… We Can.” was created to help unify their message. Guidelines were developed, along with original artwork applications. Standards and templates were created for stationery, forms, signage and more. CrossRoads Studios worked with corrugated manufacturing group Interstate Resources to update an inconsistent corporate identity used creatively by twelve manufacturing plants on the East Coast of the United States. Rather than developing new logos, CrossRoads Studios made simple, smart modifications to visually strengthen the logo, then aligned it across member companies, along with a shared essence statement: Interstate Resources… We Can. A logical, cost-effective approach. With visual identity guidelines now in place, Interstate Resources can safeguard its logo, colors and typography and ensure consistency across stationery, forms and signage. Does your brand need an evolution or a revolution? We’re here to help. CLIENT NOTES: Interstate Resources, based in Arlington, Virginia, generates annual sales more than $655 million. 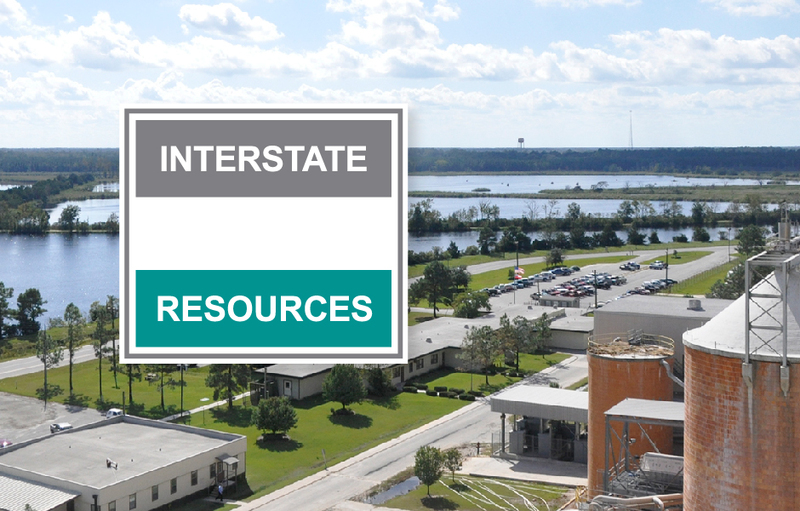 Interstate Resources now has 19 companies in 14 manufacturing locations in nine states. They produce high quality timber, container board, corrugated cartons, packaging and energy. Interstate Resources is a member of London based DS Smith Plc with more than $6.7 billion in sales.